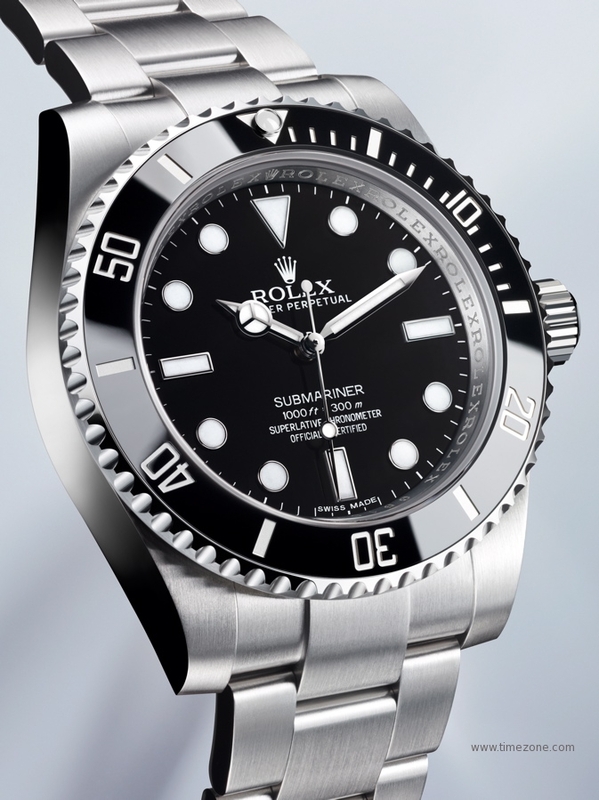 For 2012, the Rolex Oyster Perpetual SUBMARINER sports a new look to complement its iconic personality. 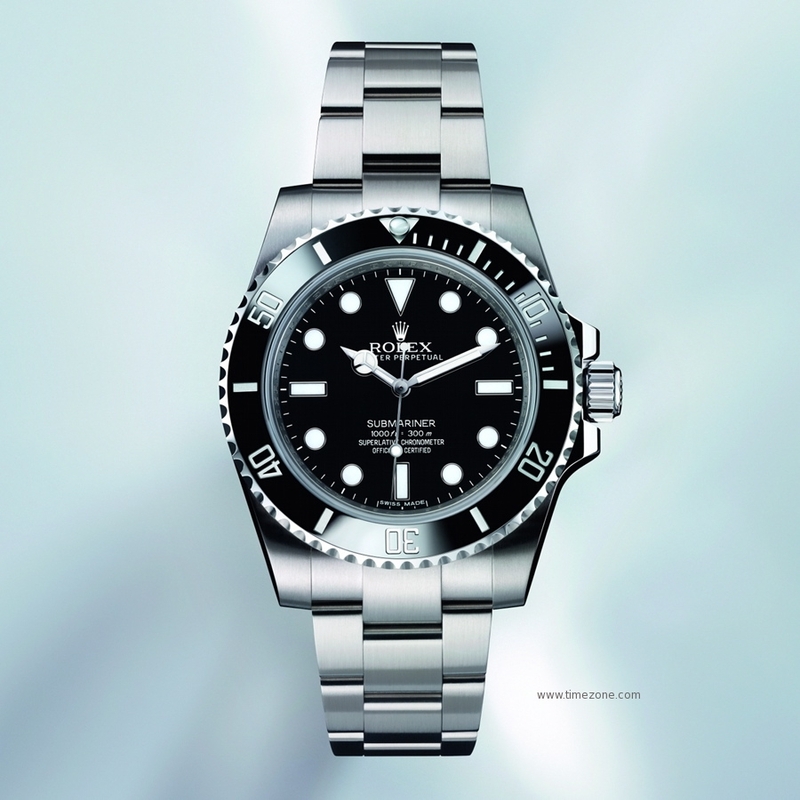 With its subtly redesigned case and its new bezel and bracelet both benefitting from recent Rolex innovations, this latest generation SUBMARINER is firmly in line with the tradition of the historic model launched in 1953. It sets new standards in terms of robustness, legibility and reliability, strengthening its status as a watch of action with timeless allure. 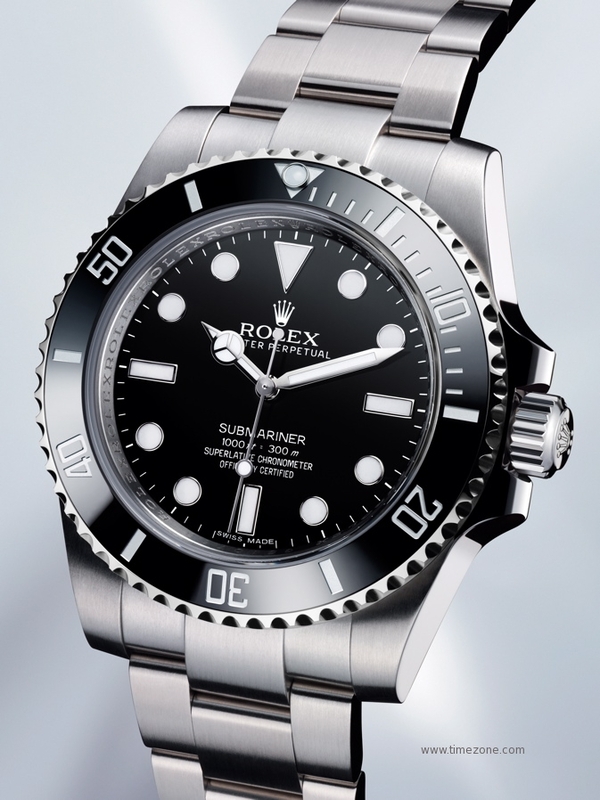 The unidirectional rotatable 60-minute graduated bezel of this new SUBMARINER is equipped with a black CERACHROM insert made of virtually scratchproof, non-fading, corrosion-resistant ceramic. The graduations are coated via a PVd process with a thin layer of platinum. The sleek black dial harbours large CHROMALIGHT hour markers and hands filled with luminescent material that emits a long-lasting blue glow. This exclusive display offers exceptional legibility in the dark. The SUBMARINER’s 40 mm OYSTER case, guaranteed waterproof to a depth of 300 metres (1,000 feet), is a paragon of robustness. The middle case is crafted from a solid block of particularly corrosion-resistant 904L steel. The fluted case back is hermetically screwed down with a special tool exclusive to Rolex watchmakers. The winding crown, fitted with the patented TRIPLOCK triple waterproofness system, screws down securely against the case in a manner akin to a submarine’s hatch. It is protected by a crown guard that is an integral part of the middle case. The crystal is made of virtually scratchproof synthetic sapphire. The waterproof OYSTER case ensures optimal protection for the SUBMARINER’s high-precision movement. 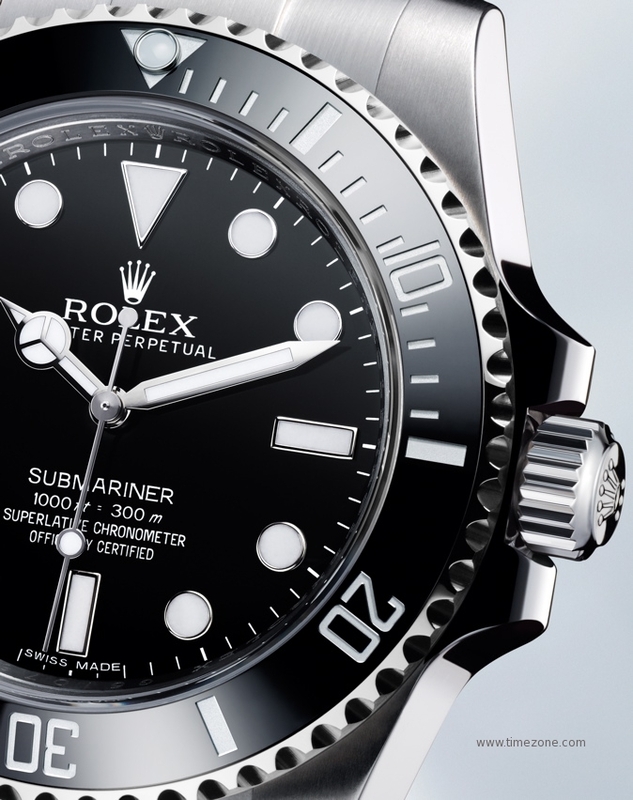 The new SUBMARINER is equipped with calibre 3130, a self-winding mechanical movement entirely devel- oped and manufactured by Rolex. Like all PERPETUAL movements, the 3130 is a certified Swiss chron- ometer, a designation reserved for high-precision watches that have successfully passed the Swiss Official Chronometer Testing Institute (COSC) tests. Its architecture, like that of all OYSTER watch movements, makes it singularly precise and reliable. The oscillator, the true heart of the watch, has a blue PARACHROM hairspring patented and manufactured by Rolex in an exclusive alloy. Insensitive to magnetic fields, the PARACHROM hairspring offers great stability when exposed to temperature variations and remains up to 10 times more precise than a traditional hairspring in case of shocks. 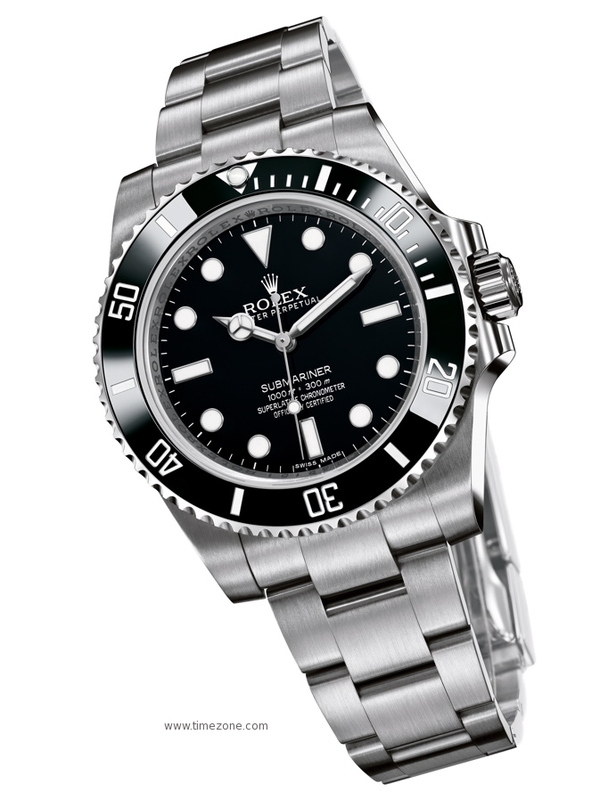 This SUBMARINER is fitted with a solid-link OYSTER bracelet in 904L steel. It features a new-generation OYSTERLOCK safety clasp and GLIdELOCK extension system. The ingenious patented system, located beneath the clasp cover, allows fine adjustments of the bracelet length in 2 mm increments for a total of approximately 20 mm – without using any tools. This allows the watch to be worn over a diving suit up to 3 mm thick and provides additional comfort in any circumstance.